Please welcome guest poster Ryan to the blog today! 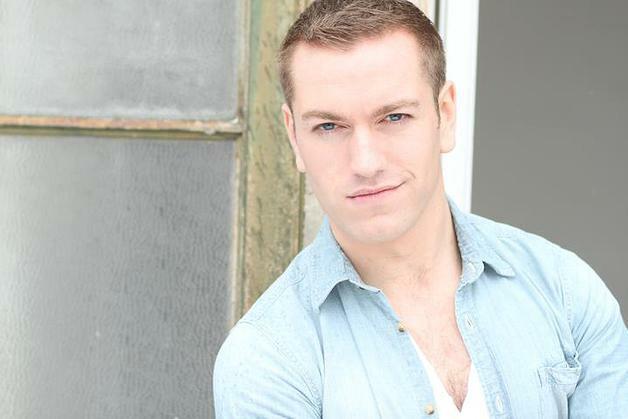 Ryan is a New York-based actor and singer, whom I asked to share with us what the new Actors’ Equity Audition Center is like compared to the old Equity lounge, and how it affects both Equity and non-eq actors. Peeing With Pride: The New Actors’ Equity Audition Center ! Dignity. There was a time I possessed some but, somewhere between my days peeing in the McDonald’s bathroom and the “movement callback for singers” I just had, I think I ran fresh out. As actors, dignity is a luxury that we are rarely afforded. Don’t believe me? Look at your “special skills”. I’m pretty sure President Obama never had to recite the alphabet backwards AS Carol Channing (though….not gonna lie….I would totally like to see that.) We wake up at the a**-crack of dawn and stand in line in the freezing cold, just so we can sing 8 bars that will, hopefully, book us an increasingly low- paying job (thanks, Troika) with housing that may or may not have cable (most likely…not). I mean, there are upsides too….doing what we love…creating works of art…taking an audience on a journey… BLAHHH BLAHH BLAHHH…BUT, Dignity? Not so much. However, as I sat in the new Audition Center on the 16th floor of the Actors’ Equity Building, waiting to humiliate myself in my “movement callback for singers”, I felt just a tiny bit of dignity restored to this baritone who moves…not so well. Now, don’t get me wrong…the new Audition Center isn’t Shangri-La. I kinda feel like Audrey in Little Shop of Horrors…my expectations are pretty low. However, this “Somewhere That’s Green” (or blue…as the case may be) is certainly an upgrade from Skid Row on the 2nd floor. Once you’ve fought your way past the Chicago flyer girls, who kinda remind me of those temple guardians in Legends of the Hidden Temple who just kinda pop out at you, you make your way down the Times Square Visitor Center hallway (which mildly resembles the entrance of Space Mountain). Then you flash your card and are quickly whisked up the elevator you never used before, unless you were lazy or needed to get your taxes done. When the doors open on the 16th floor you turn right and are greeted by handsome glass doors. You go inside and have two options…you can take a seat in the new non-equity seating area (equipped with its own headshot/resume assembly station) or you can flash your destroyed card, that you wish you had paid that guy to laminate, to the fresh face seated at an even fresher table. The Audition Center has two audition rooms…one is larger and the preferable choice for ECC’s and the other is more suited for EPA’s. The rooms are nice…mirrors….new floors…etc, but the REAL triumph are the new “decompression hallways”, in between the waiting area and the audition room. These have two major advantages…one is…you can’t hear the person auditioning, while you are in the waiting area. Now, you don’t have to listen to people belting “Defying Gravity” at a Carousel ECC. Instead, you can really focus on eaves dropping on the obnoxious name-dropper next you. The second advantage is, the person on deck, gets to hang out ALONE in the hallway before going in the room. Now, you can do your lip trills and pushups in peace in the moments before you and your plunging v-neck enter the room. The audition center is also equipped with a room for dancers to stretch, mark in the mirror, use the bar, etc. You guys enjoy that. I’ll be listening to Donna McKechnie on my Ipod on one of the lovely long benches and hoping that that counts as a “dance warmup”. The audition center has two large dressing rooms and, MOST IMPORTANTLY (cue trumpet fanfare) two large bathrooms. Now, multiple singers with nervous stomachs and dancers on a “diet” can take care of their business at the same time. Also, I’m told the non-eq folks can now give their IDs to the front desk attendant and get a key to the bathroom on the 15th floor. Still separate and unequal but, hey…at least, it’s not McDonald’s. My one critique is that, in its newness, the place has lost some of its nostalgic charm, like the “guys” and “dolls” signs that were on the old Lounge’s bathroom doors but…… I also think “Carolina on My Mind” counts as a pop song…So, what do I know? The Piéce de Résistance of the whole shebang is…drumroll, please………..WiFi! Yes, ladies and gents you can now catch up on “Here Comes Honey Boo” on Hulu while you wait to do your Chekov monologue. Honestly, if the whole place was made of cardboard boxes, I’d still be singing its praises, as long as they had WiFi. I can only play Bejeweled for so long…. ! At the end of the day, auditioning still blows. The crazies are still running in 10 minutes after their names are called, with only one character shoe on as they curl their hair. People still go on about finishing their ninth Broadway show, as loudly as they can, as you both wait to get seen for “Forever Plaid” at the Fireside Dinner Theatre. Monitors still choose to make the same recycled jokes instead of calling the next alternate. Auditioning is unpaid work with the potential to get work that pays. It is not glamorous. However, on the 16th floor of the Actors’ Equity Building..auditioning is, at least, dignified. Now, if someone could just do something about Nola…. Thank you so much for sharing your wisdom and humor with us, Ryan! Check out Ryan’s website, and follow him on twitter. Great post, Ryan! I am guilty of having not been to an EPA for a while (it’s on my list of goals), so this was very helpful! I was wondering what the new AEA Audition Center looks like. I once chaperoned a middle-school dance and my teacher friend told me that nothing would smell worse than that (adolescent hormones and sweat.) I assured my friend, that indeed, there is a place that smells much, much worse: The Equity Lounge: desperation mixed with nerves and hairspray. I’m glad the lounge has had a makeover and your post may convince me to go back to an EPA. Hi Ryan! Thanks for gracing us with your post and plunging V-Neck. I just checked out the new audition center during an EPA on Tuesday. I’m non-union and totally didn’t mind hanging out in the little room they have for us. Yay huge squishy bench! Can’t wait to see these other rooms you speak of! Hi! I was wondering if you can answer a quick question for me: When you say “flash your card”, what card do you mean? I’m non-eq and I’m heading to my first EPA in a couple of days,, and I hope I’m not turned away or given a dirty look because I don’t have an equity card. What if the EPA is in another studio like Chelsea?? Is the same procedure? As non-equity will I get to be seen?? EPA procedures are standardized, no matter where the call is held. It’s always a bit of a crapshoot as to whether non-eqs will get seen, but definitely worth pursuing. Non-musical calls are usually less crazy, as are calls where they’re not looking for women or caucasian actors. Good luck!